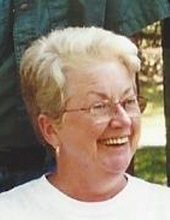 Walmsley, Pamela Joy - Age 71, of Grand Blanc, died March 20, 2019. Per Pamela's wishes cremation has taken place. Pamela was born March 28, 1947 the daughter of the late John Phillip and Viola Mae (Umphrey) Patton. She married James Walmsley on July 20, 1971 in Toledo, Ohio. Pamela enjoyed painting, knitting, beading, she taught crafting classes and was a master gardener. She is survived by her husband of 47 years, James of Grand Blanc; son: Mark (Jennifer) Walmsley of TN; granddaughter: Shelby Walmsley of TN; brother: Mike (Kitty) Patton of LA. Tributes may be shared on the obituaries page of www.sharpfuneralhomes.com. To send flowers or a remembrance gift to the family of Pamela Joy Walmsley, please visit our Tribute Store. "Email Address" would like to share the life celebration of Pamela Joy Walmsley. Click on the "link" to go to share a favorite memory or leave a condolence message for the family.